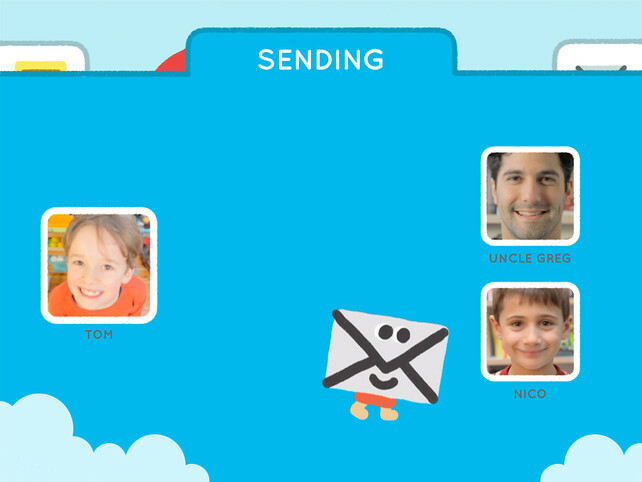 Maily, a “baby’s first email” iPad app, is a surprisingly smart way to (safely) introduce kids to online communication. At first, the concept of email for the 4-through-8 set seems a little ridiculous. Why–and, uh, how–should kids who can’t necessarily read or write yet communicate through email? But a glance at statistics on how children are learning to use computers these days suggests that Maily, a kids’ email app for the iPad, is actually ahead of its time. One of the biggest success stories of the iPad is its popularity with kids, thanks to a plethora of excellent apps and an interface fit for little hands. A 2011 survey shows that more than half of American kids have access to a touchscreen device at home, and nearly half of all 2- to 4-year-olds have used an iPad. While some argue it’s a slippery slope to using the family iPad as a “digital babysitter,” many see immense educational value in the tool. Maily, which is free at the App Store, lets kids send and receive messages without exposing them to spam, ads, or, well, creeps. Instead, parents download the app, set up an address, and fill out a list of contacts from which the account will accept messages. Then, kids can use Maily’s palette of colorful markers, stickers, and fun backgrounds to compose their own emails. A web dashboard for parents gives added oversight and control, plus the option to print out the best messages. There are plenty of email clients out there for children–but Maily is leveraging the inherent usability of the iPad with kids to make email into a creative experience. “It’s incredible how much positive feedback we receive from users,” Halberthal says, adding that around 9,000 kids are registered on the site. Ultimately, the pair hopes to develop a revenue stream for the app. “We’re also getting a lot of demands from schools, and we are currently thinking about a teacher version that schools could integrate.” In two weeks, the latest version of the app will arrive, allowing parents to create multiple kid accounts, plus a new dashboard and stickers. Download the current version here.